A Stanford University-led team of scientists has developed a machine learning tool that can analyse electronic healthcare records (EHR) to identify individuals who are likely to have familial hypercholesterolemia (FH), an underdiagnosed genetic cause of elevated low-density lipoprotein (LDL) cholesterol, which puts patients at a 20-fold increased risk of coronary artery disease. In separate test runs the classifier, described today in npj Digital Medicine, correctly identified more than 80% of cases—its positive predictive value (PPV)—and demonstrated 99% specificity. 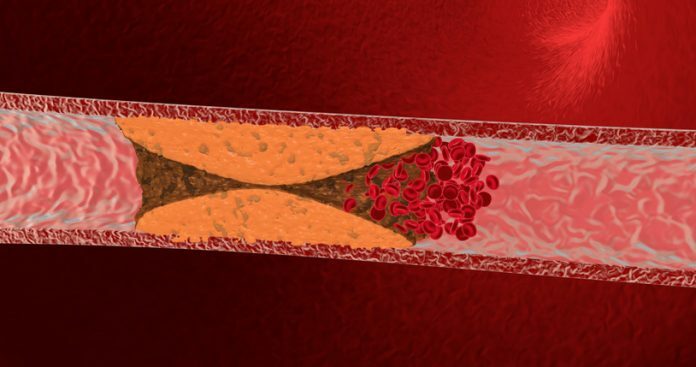 Familial hypercholesterolemia is an autosomal dominant condition that is estimated to affect about 1 in 250 people, making it “among the most common morbid monogenic disorders,” the authors explained. People with FH carry a mutation that hinders their bodies’ ability to clear harmful LDL cholesterol that collects in and clogs arteries. The genetic mutation effectively leads to lifelong raised levels of LDL cholesterol, and without intervention about 50% of men with FH will have a heart attack by age 50 years, and 30% of women will suffer a heart attack by age 60. Although the risks of FH-related atherosclerotic cardiovascular disease can be reduced significantly by starting lipid-lowering treatment early, it is estimated that fewer than 1 in 10 people with FH are diagnosed in the United States. “We think that less than 10% of individuals with FH in the United States actually know that they have it,” commented Joshua Knowles, MD, PhD, assistant professor of cardiovascular medicine at Stanford. FH runs strongly in families, so identifying one individual with the condition means that relatives can also be screened, which “has been shown to be highly cost-effective in reducing excess morbidity in family members,” the researchers added. “So screening family members of FH patients is really important, just like it would be with breast cancer or any other genetically linked illness,” Shah said. Unfortunately, hospitals don’t have the means to sequence patients on a large scale, Shah pointed out. “The problem is, the chance that someone seen in the cardiology clinic has this genetic condition is somewhere around 1 in 90, or 1 in 100, so it doesn’t make sense to sequence every single person. As part of the FH Foundation′s FIND (Flag, Identify, Network, Deliver) FH initiative, the Stanford University-led team developed and validated a supervised machine-learning algorithm to identify probable FH cases. Using data from Stanford’s FH clinic the team trained the algorithm to asses patient data including their family history, current prescriptions, lipid levels, and laboratory test results, to understand those factors that may indicate FH. Shah compared this process to how a spam filter might be trained to recognize junk emails. Spam filters don’t just apply rules that are applied by programmers based on, say, which words to look for within the email. Rather, they learn what to flag as suspicious by evaluating actual emails. Similarly, the FH algorithm learns by looking at the EHR records of real patients. The researchers acknowledged that while the software could help to improve FH diagnosis, it wouldn’t identify every case. “Not everything can be solved by an algorithm,” Shah commented. They also pointed out that their work did have certain limitations, and anticipate that, as with the development of most machine learning approaches, including more training data may have further improved the classifier. “We anticipate continuously refining our classifier as newly diagnosed cases accrue,” the team stated. As a next step, the researchers are working to set up the algorithm in clinical settings at Stanford Healthcare and at other sites, in partnership with the FH Foundation. “We’re also thinking about how we can work with the FH Foundation to implement networks of family screening to reach more patients who might have the disease and not know it,” Shah noted.